Ever been at an intersection where you had the right of way but the idiot crossing your path didin't feel the need to heed the stop sign? Ever given that person the finger? Of course you have. Well here's a campaign that gets in touch with that emotion. 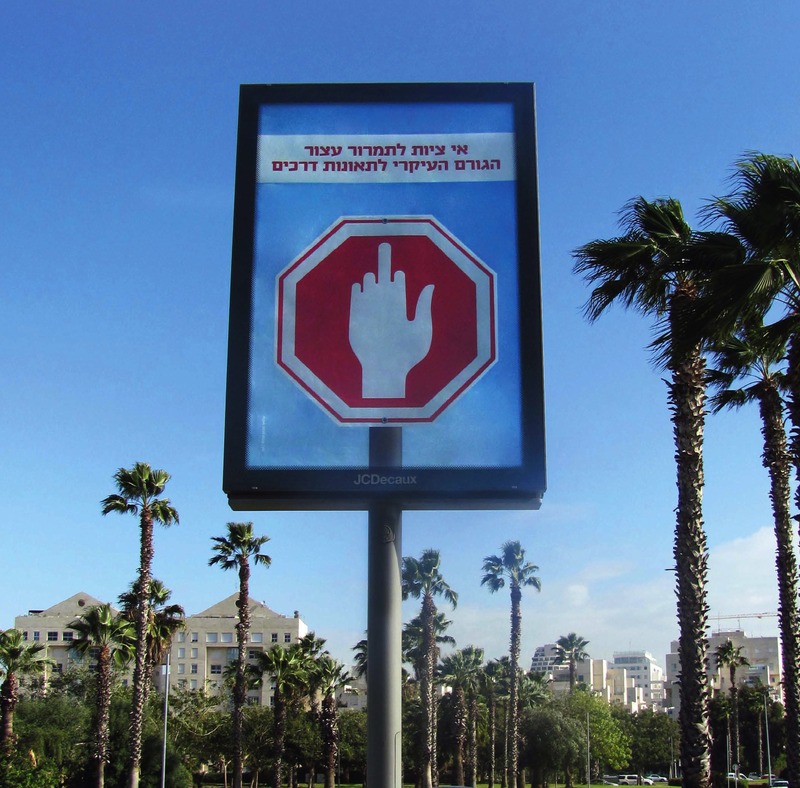 Creeated by Shalmor Avnon Amichay/Y&R Tel Aviv for JCDecaux, the creative resembles a stop sign but also carries the image of a hand giving the finger. It's hoped the campaign will reduce the number of idiots running stop signs. Not sure it will work though. For the most part, once and idiot always an idiot.